The online petition to save Lincoln Plaza Cinemas now has over 11,000 signatures. Paper petitions are also circulating and gathering names. 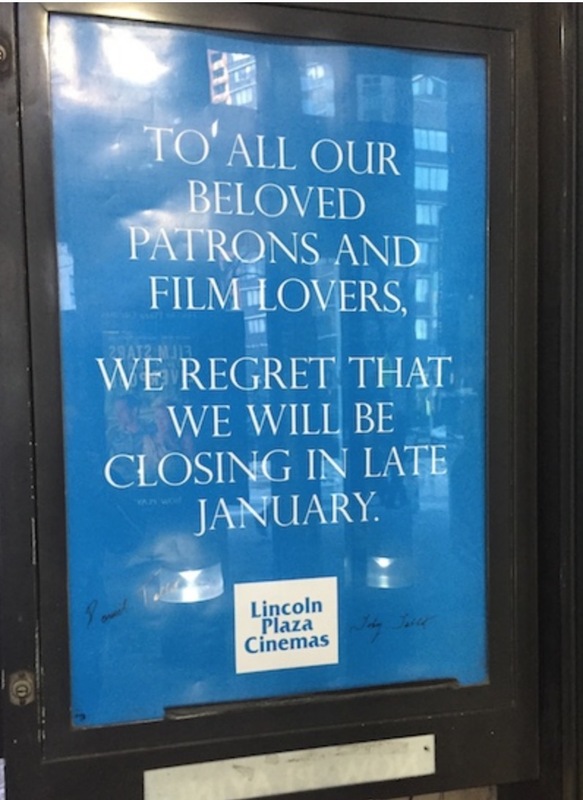 Every day, customers ask what they can do to protest the closure. 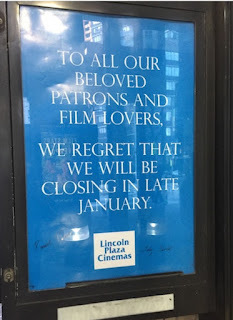 But the closure is coming--in just a couple of weeks. 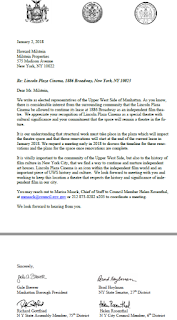 Milstein Properties has not offered a new lease. Before the new year, Dan Talbot passed away. 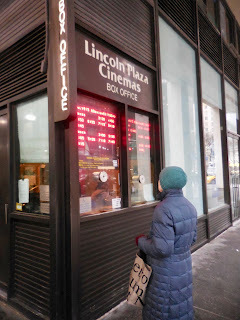 He'd been running Lincoln Plaza with his wife, Toby, since 1981. This week, West Side Rag talked with Toby. 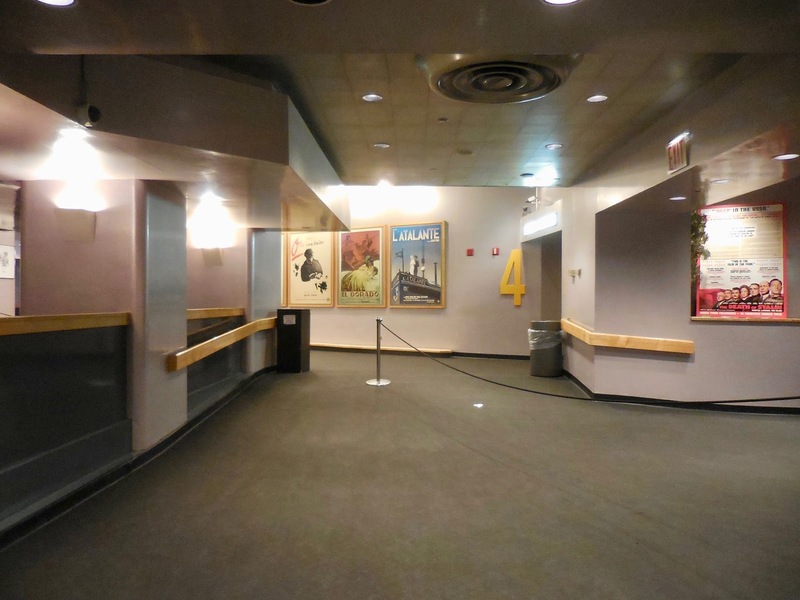 As it stands, she will not be part of Howard Milstein's plans for the site, which reportedly include upgrades and a new movie theater, possibly something run by the Film Society of Lincoln Center. Possibly not. And on the chance of saving it? 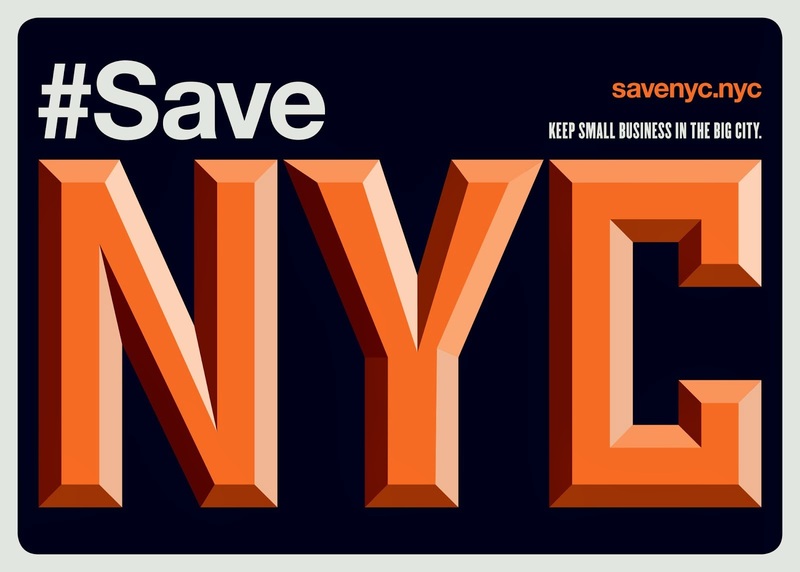 What's been missing for over a decade and half is that "significant political pressure...exerted by our elected officials" to protect mom-and-pop businesses and look out for anyone and anything that doesn't belong to the 1%. Even the current mayor, who was derided as a "Sandinista" and a threat to safety, etc., has been a diehard friend to the real estate industry, and now presides over one of the most economically unequal cities in the US. 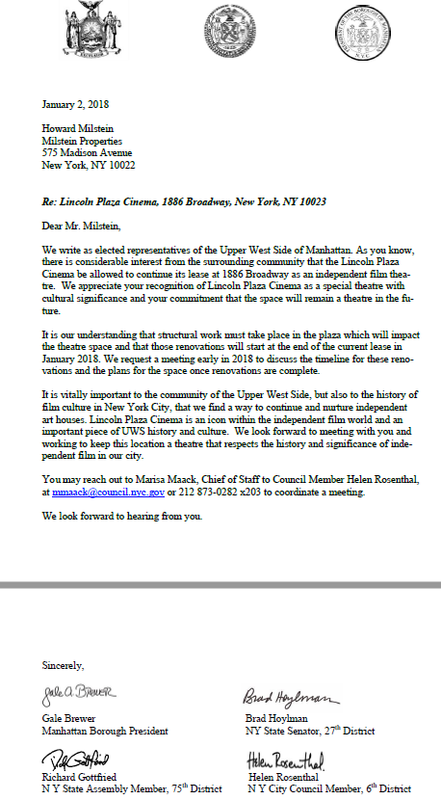 Anyways, thanks for sharing Toby's comments, Jeremiah, and for urging people to sign the petition to save Lincoln Plaza Cinemas. That's my movie theater. And the loss of their coffee cake is a crime indeed.